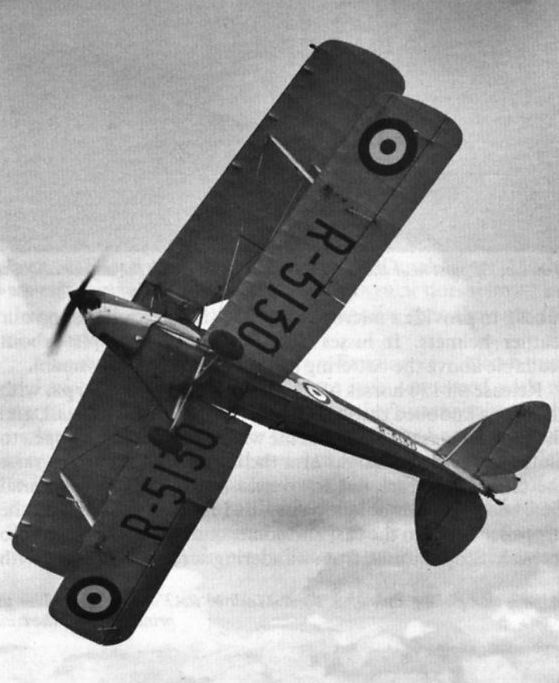 A Tiger Moth in RAF standard training configuration in 1940, showing the absence of anti-spin strokes, and the gas detection diamond on the fuselage forward of the fin. 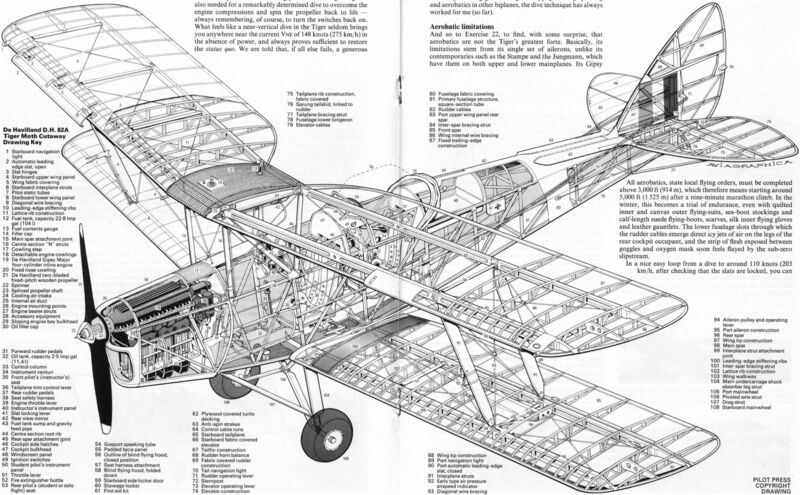 Note the Handley Page slats on the upper wing, seen here in the closed position, and the large ailerons on the lower mainplanes, which were not particularly effective at large angles of deflection and low airspeeds. 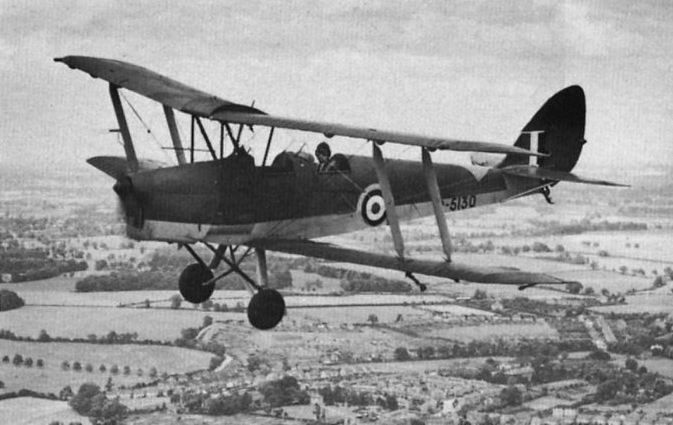 A Tiger Moth II photographed by the author in 1949 at which time it was serving with No 17 RFS, Hornchurch. Note the folded blind-flying hood behind the rear cockpit. Most of the post-war RAF Tiger Moths finished up in the hands of Rollason at Croydon in the mid-fifties, after demobilisation. Large numbers were disposed of for about ?5-?25 each to civilian operators. A rebuilt Tiger Moth today will fetch anything up to ?20,000. 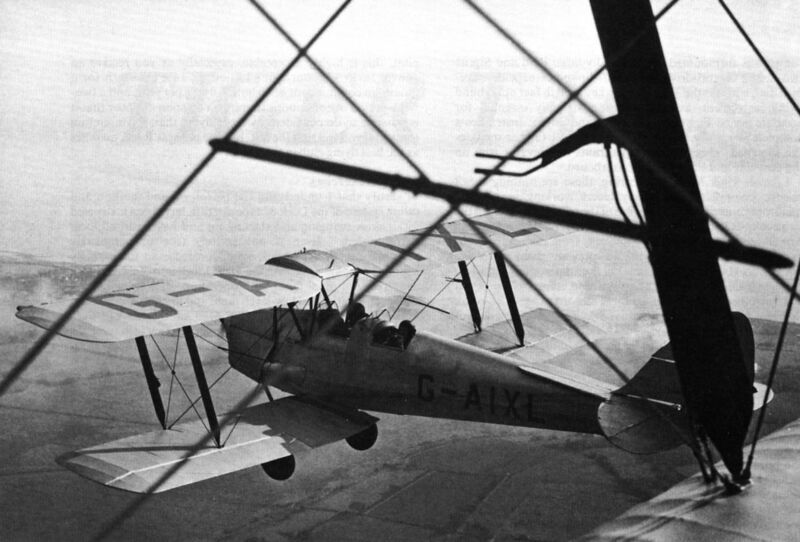 A post-war photograph of a Tiger Moth in RAF markings (silver finish with day-glo bands), serving with No 227 Operational Conversion Unit, principally for the training of Army Air Corps pilots. A Tiger Moth at an RAF Initial Training Wing. You can "almost hear the wind in the wires” remarks the author about this photograph of a civilian Tiger Moth (post-war, following RAF service). The anti-spin strokes are also shown here to advantage. 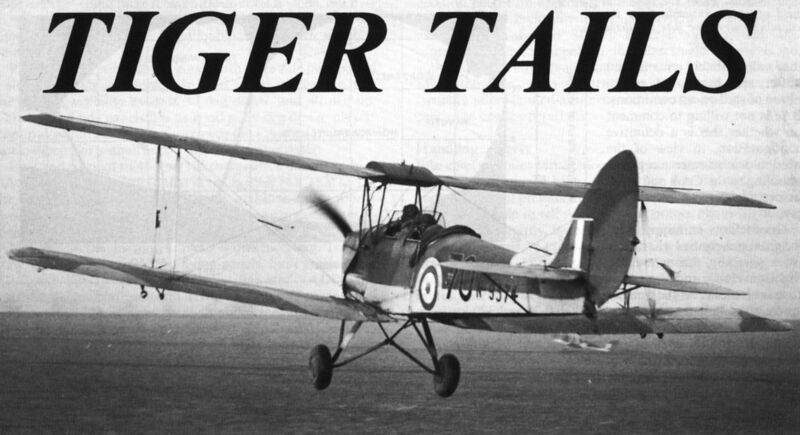 Dutch airworthiness authorities required Tiger Moths to be fitted with massive and unsightly dorsal fin extensions in place of the anti-spin strokes on the fuselage. They provided a major improvement in directional stability.